No actually, I’m loving these bad puns for titles. However, I’m all about Mada’s entire look here. The saucy stance, these saddle shoes, that BOW?! Holy moly, Mada. You are everything I want for my own look, and you’re only nine. 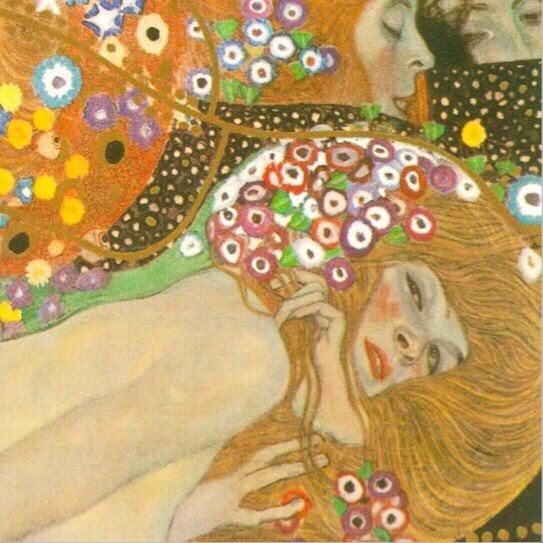 Buckle up because I’m about to connect Gustav Klimt to Brandon Boyd of Incubus. Let it be known that I loved Incubus in high school. I mean, gauged my ears, wore Chuck Taylors, dreamt of koi tattoos, loved Incubus. Therefore, I willingly accept my own challenge. 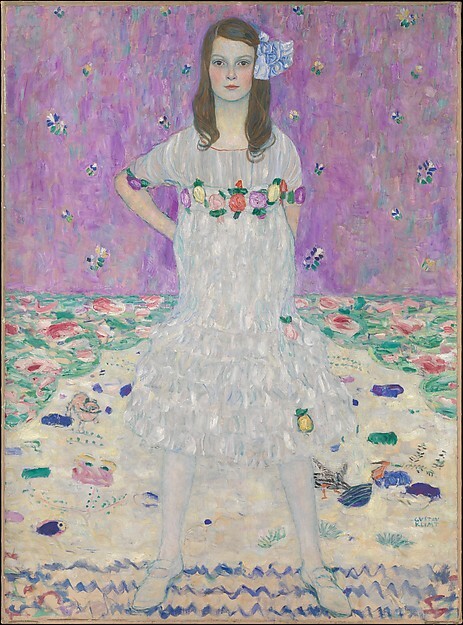 Gustav Klimt painted this portrait of Adele Bloch-Bauer, the only model he painted more than once. She died in 1925 and left the paintings to her husband. He fled Switzerland during the Nazi occupation, and the paintings were confiscated. In 2004, his niece got involved and sued Austria (the paintings were in the country’s care). 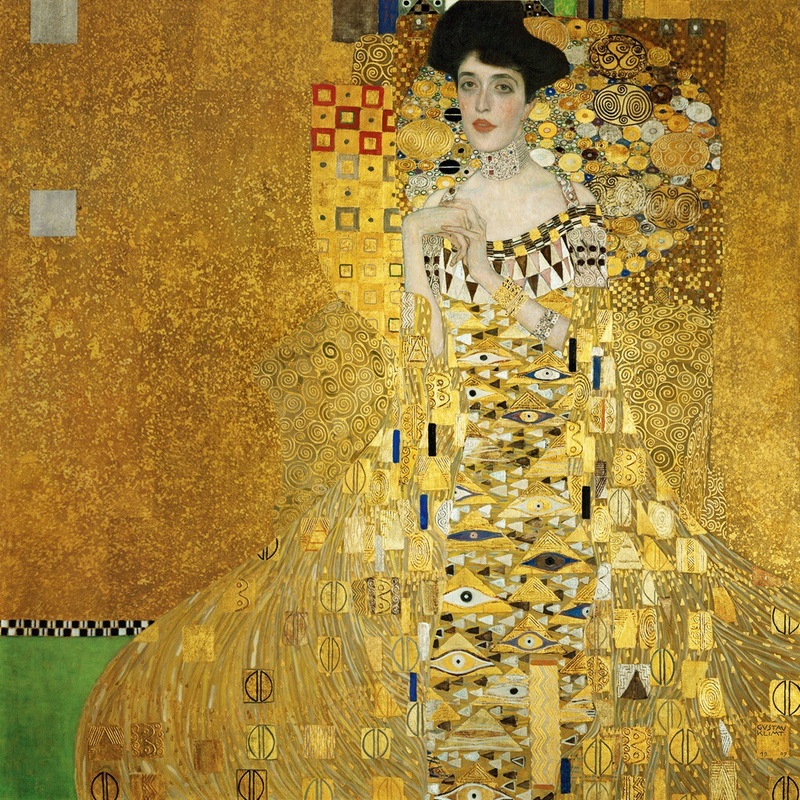 It was purchased for $135 million by Ronald Lauder, who owns the Neue Gallery in New York. Lauder’s the grandson of Estée Lauder. Model Carolyn Murphy has been with the cosmetics company since 2001. She dated Brandon Boyd and was in that righteous “Are You In?” video. Boom. I’m about to get that tattoo celebrate. Also, impress your friends when you tell them this when the work sold, it became the world’s most expensive painting in 2006. I bet she’s thinking, I’m not even gonna fret it’s Sunday. Well girl, if I had that tousled hair and that rubicund, peachy glow, I wouldn’t worry about Monday either. I’d be all, let me be about that life.